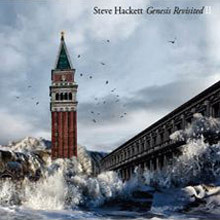 Although he will always be revered for his groundbreaking part in establishing Genesis as a major band in the 1970s, the solo works of one Stephen Richard Hackett is back catalogue of great quality. 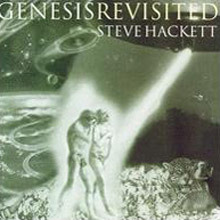 Having played a prominent part in making the new progressive sounds of Genesis both vital and fashionable, Hackett began his own career in 1975 with Voyage of the Acolyte and branched out on his own in 1977 since when he has released a steady stream of intriguing guitar orientated albums and furnished a unique style, which has been name checked as a positive influence by the likes of Eddie Van Halen, Alex Lifeson, Brian May (a keen devotee) and Steve Rothery. 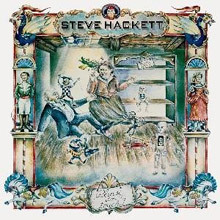 A Rock and Roll Hall of Famer (2010 with Genesis), Hackett is one of music's good guys, both professionally and personally and he continues to record and release music of the highest calibre whether it is in the fields of prog, classical or beyond. Born in London in 1950 Steve's first forays were influenced by classical and opera until he discovered the blues boomers of the late 1960s in the shape of Peter Green, John Mayall, Jimi Hendrix and The Beatles, as well as kindred spirits like King Crimson. Experimental forays with young bands Canterbury Glass and Sarabande then lead him to form Quiet Storm with brother John on flute before he placed an advert in the music press stating that he was interested in finding like-minded players keen to escape stagnant music forms. Enter Genesis and a sustained period of cult then mainstream success. Eager to avoid being trapped, Steve released Voyager of the Acolyte with assists from fellow band members Mike Rutherford and Phil Collins. Critically well-received this debut contains a sequence of tracks based around Tarot cards and includes notable guests like vocalist Sally Oldfield on Shadow of the Hierophant and bassist Johnny Gustafson on Star of Sirius. This epic introduction laid the groundwork for Steve's first post-Genesis disc, 1977's Please Don't Touch! This time Hackett enlists stellar vocal help from Randy Crawford, Richie Havens, Kansas member Steve Walsh and John Perry. The remastered version includes bonus tracks, alternatives and live fare and demonstrates Steve's abilities throughout as he switches effortlessly between classical and electric rock while the core title piece makes excellent use of the Roland Guitar Synthesiser: indeed electronica is used to splendid effect throughout. An interesting side fact: the album's cover, which features Kim Poor's Victorian automata scene in a toy shop, was inspiration for the memorable scene in Bladerunner in which Harrison Ford is attacked in an apartment by similarly spooky gadgets. 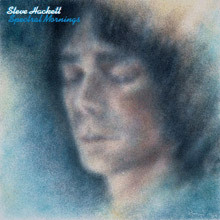 On a roll now, Spectral Mornings (1978) features Steve's then regular touring band. They also appear on the following Defector (1980). These discs contain the basis of a sterling ensemble with stand out tracks including 'The Ballad of the Decomposing Man', 'The Virgin and the Gypsy' and 'Clocks â€“ The Angel of Mons'. These are progressive and modern classical in structure and there are jazzy blue notes to give Defector its own cool hues. Both of these discs have fine liner notes and bonus material, the latter featuring live songs from the Theatre Royal and Reading Festival, which capture the group in top form. Typically, Steve then ventured left-field again with Cured (1981), revitalised by a desire to return to a more pop format with progressive elements lashed in while there are elements of the man's love for the quirky and amusing side of life in 'The Air-Conditioned Nightmare', the lovely 'A Cradle of Swans' and the elegiac British romance of 'Picture Postcard'. If these were a kind of home thoughts from abroad the ensuing Highly Strung shifts the goalposts again back smart rock tinged epics like 'Hackett to Pieces', 'Group Therapy' and the radio hit 'Cell 151'. The remaster includes 'Guitar Boogie' and the splendid 'Time-Lapse at Milton Keynes' which may have confused Steve's growing following in America, including the budding acolytes mentioned at the beginning. Steve was now handling all the lead vocals with aplomb (he'd avoided that job in the early days) but he also used the harmonica on 'India Rubber Man' and extolled the virtues of a daily run on the energetic 'Walking Through Walls' and encouraged the gated drum sound produced by Ian Mosley. Till We Have Faces ushers in a new chapter. Now touched by the emergent world music explosion, Steve used Brazilian percussion, Japanese vocals, Latin rhythms and startling time signatures. The title is borrowed from a C.S. Lewis novel, a writer much loved by the artist since childhood. 1993's Guitar Noir matches its title with a set that is darker and moodier in tone than previous work and makes great use of keyboard programming; some found sound and string arrangements on the glorious 'Walking Away From Rainbows'. Returning to his roots with the self-produced Genesis Revisited (aka Watcher of the Skies in America). Eagerly lapped up by fans from across the ages this album is a fitting tribute to a fondly recalled period and includes 'Déjà vu' (an outtake from Selling England by the Pound here brought to fruition), 'I Know What I Like (In Your wardrobe)', 'Firth of Forth' and the much-loved watcher itself. To create the appropriate atmosphere, Steve gathered a stellar cast whose number includes John Wetton, Bill Bruford, and Colin Blunstone. This is a real beauty and an essential listen. 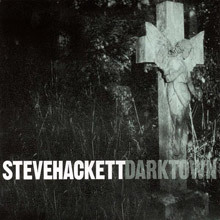 Steve's last album of the 1990s, Darktown, saw the man take stock, examine his past and face up the present and the future on an honest fashion. Personal changes were dealt with in 'Man Overboard' and there bluesy sequences that echoed his love of that genre coupled with distinctly English nostalgia in the shape of 'Jane Austen's Door' and 'The Golden Age of Steam'. To accompany what Hackett called his new way of looking at things he also began collaborating with producer/multi instrumentalist Roger King. Feedback 86 is a rescued project from that year that eventually came out in the dawn of the new millennium. Bonnie Tyler, Brian May and Marillion's Ian Mosley and Pete Trewavas fill in the gaps on what was to have been the second album by offshoot band GTR, which included Steve Howe and Jonathan Mover. When that album failed to materialise, Hackett revisited the tapes and pronounced them just dandy. Needless to say it's a prog classic. Wild Orchids (2006) maintains that form and is available in both standard and heavily expanded editions. Both include takes on Steve's hypnotic reading of Bob Dylan's 'Man in the Long Black Coat', 'She Moves in Memories' and 'The Fundamentals of Brainwashing'. The main man also kept things ultra fresh by playing sitar, Psaltery, harmonica and lush layered guitars. Another contemporary delight. A flat out return to prog arrives on Out of the Tunnel's Mouth (more steamy allusions) where guests include original Genesis guitarist Anthony Phillips on 'Emerald and Ash' and 'Sleepers', and Yes-man Chris Squire. The bonus material makes a return to some live recordings of vintage Genesis favourites, notably 'Broadway Melody' of 1974 and 'Fly on a Windshield'. The new decade continued the theme with Live Rails and Beyond the Shrouded Horizon (both 2011), intelligent facets of the man's artistry on the boards and in the studio with plenty of time to admire his lyrics as well as his master classes on guitar. Genesis Revisited II is a marvellous companion to the early volume, a sequel with legs that trips in and out of the band's classic albums and pays them an emotional homage. There are at least twenty-one reasons to love this set but 'Can-Utility' and the 'Coastliners' (from Foxtrot) and 'The Musical Box' (from Nursery Cryme) are tempting enough to draw in aficionados. Once the above have whetted your appetite there's still room to digest the fifteen track/fifteen year overview album The Unauthorised Biography, a far more than handy summary of some choice moments and to remember that Steve Hackett's career remains a work in progress. One of the quieter heroes of his era, here's a fellow who constantly strives towards and achieves musical excellence. Plenty of tricks in his tale. 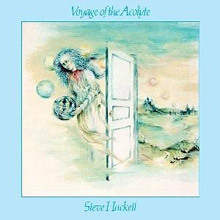 The essence of progressive music is characterized perfectly on Voyage of the Acolyte, Steve Hackett's first solo album. The former Genesis guitarist uses his instrumental mastery to conjure up musical images of sorcerers, magic, and old English castles with the primary use of keyboards and electric guitar. Phil Collins on drums and vibraphone and Mike Rutherford on bass and fuzz 12-string contribute their talents to the churning synthesizers that accompany each passage. The basic instrumental elements of progressive rock are heard loud and clear throughout the album, including Mellotron, harmonium, flute, and bells, and none with a minor role to play. Collins, Hackett, and Sally Oldfield all donate their voices to a few of the songs here, adding a nice touch to the heavy insertion of electronics. Glimpses of oboe and cello can be detected underneath some pleasurable guitar work in "The Lovers and "Hands of the Priestess Part 1." Traces of Yes can be found all the way through the album, but especially on the 11:45 grand finale "Shadow of the Hierophant" that combines all the instruments in a colorful bombardment of musical fury. A true progressive masterpiece, Voyage of the Acolyte is an album firmly stationed in the upper echelon of prog rock. With a workable backing band that includes John Shearer, Nick Magnus, and former Decameron bassist Dik Cadbury, the ex-Genesis guitarist exploits his strengths: progressive instrumentals that skip between heaven and hell, pastoral pop songs, and a healthy dose of English humor. Vocalist Peter Hicks takes the lead on a few tracks, and as the honey-fied "The Virgin and the Gypsy" makes clear, his voice is much better suited to the material than Richie Havens. Hackett's lone vocal cameo, "The Ballad of the Decomposing Man," is a Pythonesque treat. 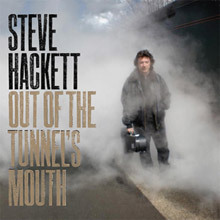 The guitar work is typically top-notch, equally effective in acoustic sections that feature John Hackett's flute and in tempestuous arrangements where Steve's trademark electric guitar pierces through the chaos. The guitarist also extends his range to the Cantonese koto (presumably a variation on the Japanese koto) for the delicate instrumental "The Red Flower of Tachai Blooms Everywhere"; in typically mischievous fashion, it lulls the listener into a false sense of relaxation for the sonic onslaught of "Clocks -- The Angel of Mons." For many, Voyage of the Acolyte is the definitive Hackett record, but Spectral Mornings is more indicative of his range as a solo artist. The music is true to progressive rock in sound if not in scope, a trait which endears Hackett to Genesis fans who found that band's subsequent commercialization distasteful. Genesis guitarist Steve Hackett has assembled a wide variety of musicians to rework many classic Genesis songs. The end result is quite interesting. Some songs are quite true to the original, while some are very big departures -- some are wonderful, some not quite so impressive. In general, this is an intriguing work, that is quite satisfying for the fans of old Genesis. The biggest named musicians joining Steve Hackett on the album include John Wetton, Bill Bruford, and Tony Levin. The most unusual cut on the disc is "Waiting Room Only" in that it was never actually released on a Genesis album. To quote the liner notes, "The Lamb Lies Down on Broadway had an atonal jam called 'The Waiting Room' -- we tried to recapture its spirit by similarly abandoning form here and creating a whole new piece in the process which we've titled 'Waiting Room Only.'" This track is the only one that was not originally recorded by Genesis. The material comprising the two discs of Genesis Revisited II ranges from 1971's Nursery Cryme to 1976's Wind &amp; Wuthering, for which, fueled by nostalgia, guitarist Steve Hackett ambitiously attempted to re-create his favorite Genesis tracks. Helping Hackett with his 2012 vision, ten vocalists were recruited to cover the parts originally sung by Phil Collins and Peter Gabriel. While the femininity of Amanda Lehmann and husky voice of Opeth's Mikael Åkerfeldt change the songs significantly, others are perfectly suited, like Phil Collins' son Simon, who sounds nearly identical to his father. Obviously, these versions can't compete with the classics, but Hackett's technical skills are more astounding than ever and many additional details -- such as the replacement of Mellotron parts with a live orchestra -- are nice touches. 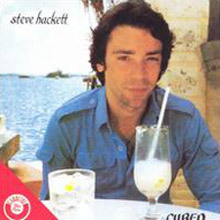 Although Steve Hackett had made several albums under his own name since his departure from Genesis, 1981's Cured was the closest thing yet to a true solo Hackett album. Having disbanded the group with whom he's recorded two successful solo albums -- Spectral Mornings and Defector -- Steve retained only keyboard player Nick Magnus to help out on this effort. Magnus played keyboards, Hackett handled guitar and bass, and the drums were provided by a drum machine. But the most noticeable change was in the vocals. Previous albums had featured the occasional vocal excursion by the guitarist, but Cure was the first album on which Hackett handled all the lead vocals himself. Combined with the revamped musical backing and a more straightforward songwriting style, the new sound threw some Hackett devotees for a loop. In fact, much of the album was rather commercial-sounding pop music, which bore little resemblance to Hackett's previous work. Still, given a chance, Hackett's new sound was quite compelling, especially when he played the songs live. 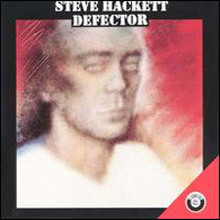 The main concessions to Hackett's earlier style were the instrumentals "The Air-Conditioned Nightmare" and "A Cradle of Swans," the latter being a solo classical guitar piece. A marvelously solid release. The songs play like a beautiful visit to Hackett's musical past, with hints of just about every period of his work. Tunnel's Mouth features a variety of sounds that span the gamut from sensitively-rendered classical/folk guitar to some of the most powerful rock to come from him in years. I found myself really feeling this album, not just hearing it, and consider this to be his most emotionally-charged release since Spectral Mornings. Hackett's work doesn't reflect the times or follow musical trends, it is simply the product of his personal vision, and I can think of no other musician that has maintained that level of integrity for so long. This path hasn't endeared him to the masses, but I don't believe that was ever his goal. I can't imagine that any Steve Hackett fan would be anything but thrilled with this release. Steve Hackett left Genesis in June 1977 (following the tour that would be documented on Seconds Out), and started his solo career in earnest with Please Don't Touch. Unlike Voyage of the Acolyte, which was a largely instrumental concept album steeped in the progressive rock idiom, this record is primarily a collection of songs featuring guest vocalists Richie Havens, Randy Crawford, and Kansas' Steve Walsh (their Phil Ehart also chips in here on drums). Although the sum effect is something of a patchwork, the individual pieces are often lovely. 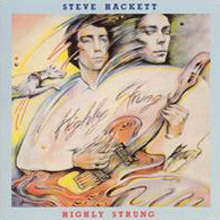 Over his career, Hackett has shown a propensity for extremes, in this case letting the jazzy and sentimental "Hoping Love Will Last" segue into the musical maelstrom of "Land of a Thousand Autumns" and "Please Don't Touch" (which will delight fans of Hackett's first record, although the Caroline CD inexplicably pauses too long between the two). In a nod to King Crimson (specifically Lizard), the title track is quickly cut off with the quirky carousel sounds of "The Voice of Necam," which itself dissolves into a mix of airy voices and acoustic guitar. The best tracks belong to Richie Havens: "How Can I?" ("Hackett"'s take on Peter Gabriel's "Solsbury Hill") and the conclusive "Icarus Ascending." Hackett is no singer, so he wisely masks his voice in a "laughing gnome" effect on the delightful "Carry on Up the Vicarage" and hides behind Walsh's lead on "Narnia" and "Racing in A." Perhaps taking his cue from Gabriel (whose debut had appeared in 1977), Hackett seems eager to show his range as a songwriter. While he clearly has a closet full of good ideas and a genuine knack for interesting arrangements, Hackett is too much the eccentric Englishman to appeal to broad commercial tastes. Please Don't Touch remains a uniquely effective amalgam of progressive rock and pop; like his first album, he never made another one quite like it, perhaps because he again taps the concept's full potential here. Over the course of 25 years and nearly 20 solo releases, Steve Hackett has acquired a vast amount of technical proficiency in the studio. This album, which Hackett produced, is the best-sounding release of his career. Most of the 11 tracks are more like soundscapes or aural impressions, than songs in the conventional sense; this is not necessarily a bad thing. The tapestry of sounds on "The Golden Age of Steam" is perfectly suited to a rather intriguing lyric about a World War II child spy. On "Rise Again" the hopeful lyrics are coupled with guitar playing that truly soars. This good followup to Spectral Mornings includes "Two Vamps as Guests" and "Hammer in the Sand." Steve Hackett's last release for Charisma Records in Britain is one of his strongest efforts. Hackett once again handles all the lead vocals, but sounds more assured in the role than he did on Cured. This album spawned Hackett's one and only solo hit single, "Cell 151," which charted in Britain. (An extended version of "Cell 151" was released as a 12" single, and was later included on CD versions of Highly Strung.) With its heavily gated drum sound (an effect pioneered by Hackett's onetime bandmate Phil Collins), "Cell 151" had a hard-hitting, modern sound. This production style ran through the whole album, but complemented Hackett's songs to great effect. Strong up-tempo numbers like "Walking Through Walls" (which espoused the virtues of pushing your boundaries via a daily morning jog) alternated with ballads like "India Rubber Man," on which the guitarist returned to his first instrument, the harmonica. Highly Strung is a fine example of Hackett's skills as an instrumentalist and composer.